Local dignitaries, Las Vegas Valley Water District Spring Preserve officials and Las Vegas Kiwanis members gathered for a dedication ceremony of the new Kiwanis Plaza and Diorama at the 180-acre Springs Preserve. The event included a special agenda and a buffet-style luncheon catered by Wolfgang Puck. The Springs Preserve opened to the public in May, 2007. The Kiwanis Water Conservation Park and Desert Garden was initiated more than 30 years ago by the Las Vegas Kiwanis as their project to help conserve water and educate the public about native, water-conserving, drought-tolerant desert plantings. Initially, they built a 2.2 acre desert garden near Alta and Valley View three miles west of downtown Las Vegas and dedicated it on October 22, 1980. Over the years the Park was improved, revised, and modernized. On May 7, 1990, the Park was rededicated as the Desert Demonstration Gardens. Today’s Garden includes an amphitheatre, patio, dry river bed, trellises and park benches. Many of the original surviving drought-tolerant plants have been moved to the desert gardens at the new Springs Preserve. The new Kiwanis Plaza and Diorama at the Springs Preserve captures the history and reflects the visionary thinking of Kiwanis members at a time when water conservation and drought-tolerant planting were the ideas of visionaries and not fashion-watchers. 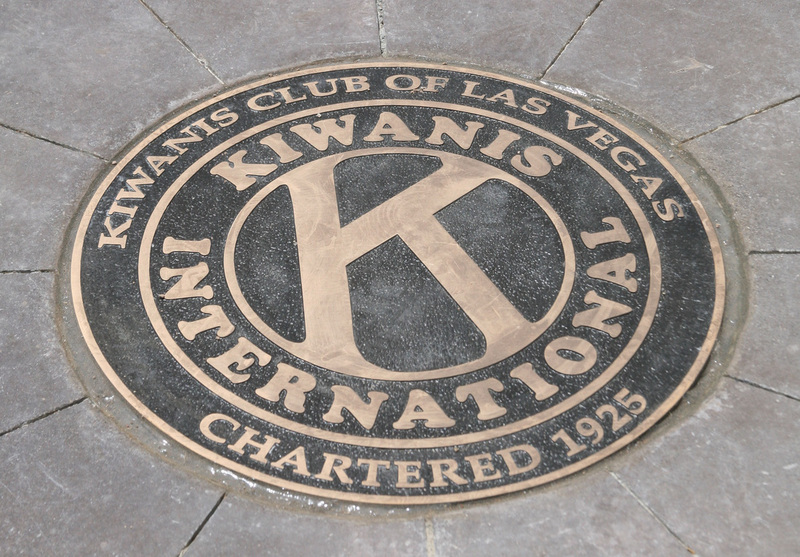 The Kiwanis are extremely proud of their Water Conservation Park and Desert Garden contributions to the Las Vegas Valley and the improved quality of life their efforts have brought about. The program will recognize local dignitaries and will include a review of the Park History and Park committee, special introductions, presentation of Nevada State and Las Vegas City proclamations, overview of the Springs Preserve development and services, dedication of Kiwanis Plaza and Diorama and self-guided garden tours. Special acknowledgements were bestowed upon Jim Gibbons, Governor of Nevada; Oscar Goodman, Mayor of Las Vegas; Pat Mulroy, General Manager, LVVWD; Jay Nichols, Curator of Springs Preserve; and Linn Mills, Horticulturalist.